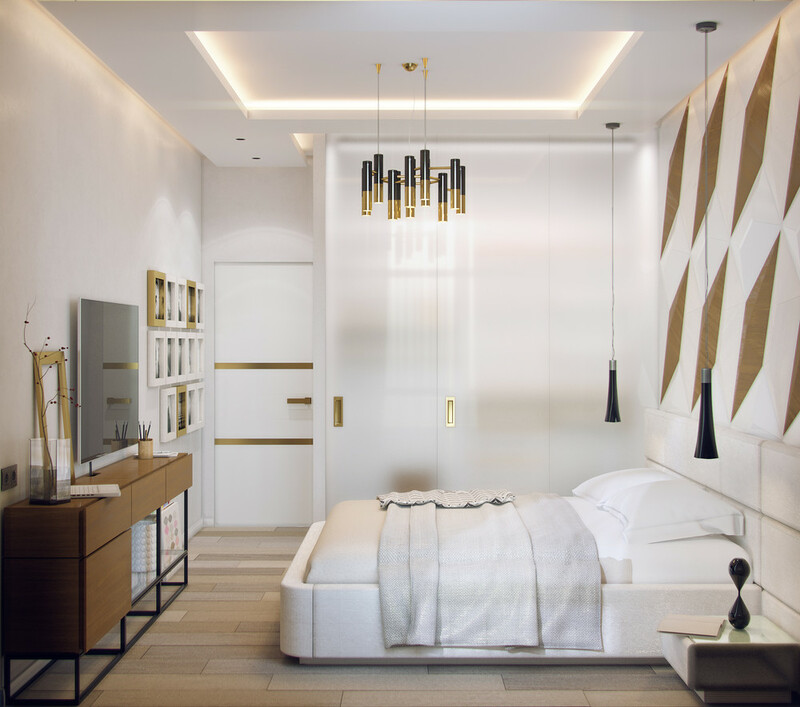 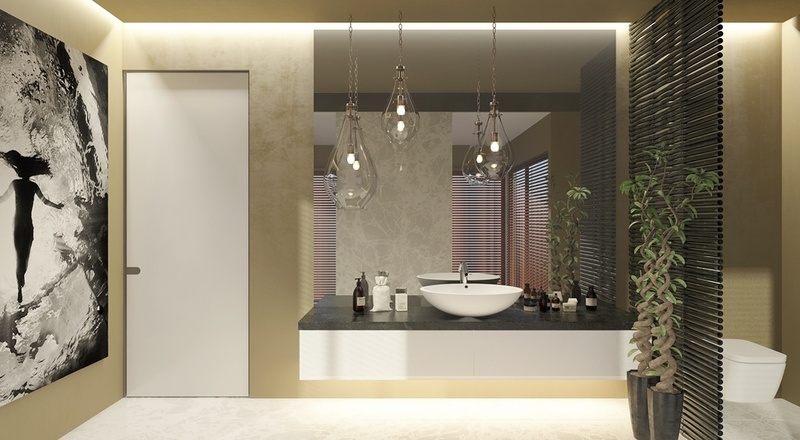 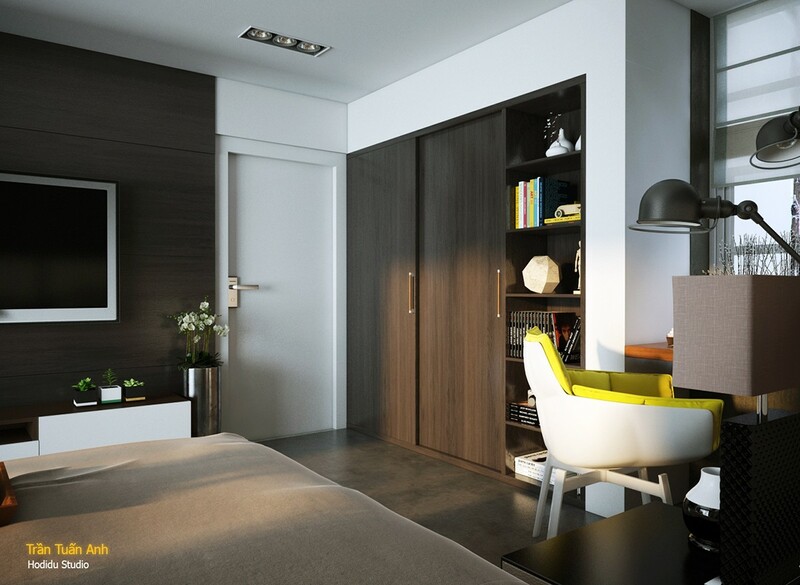 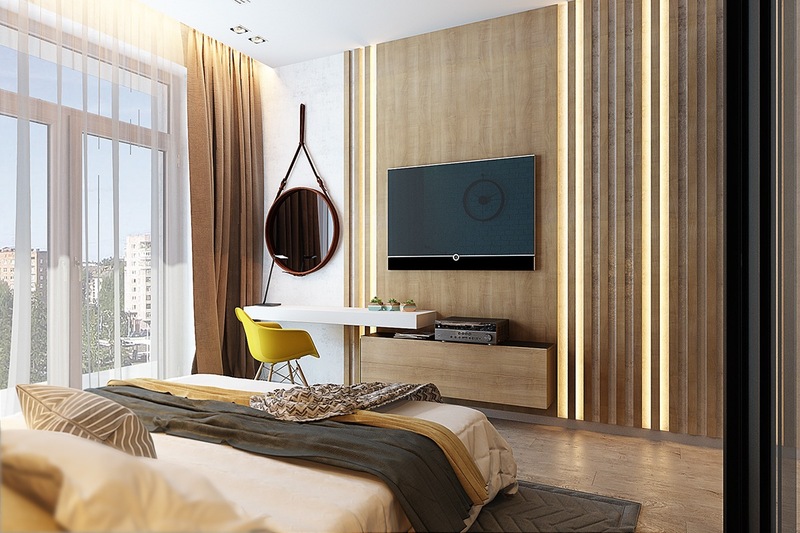 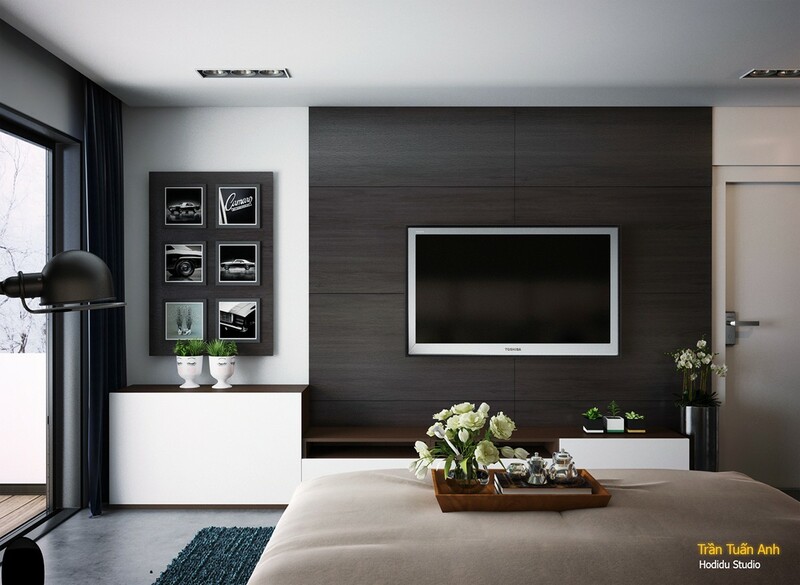 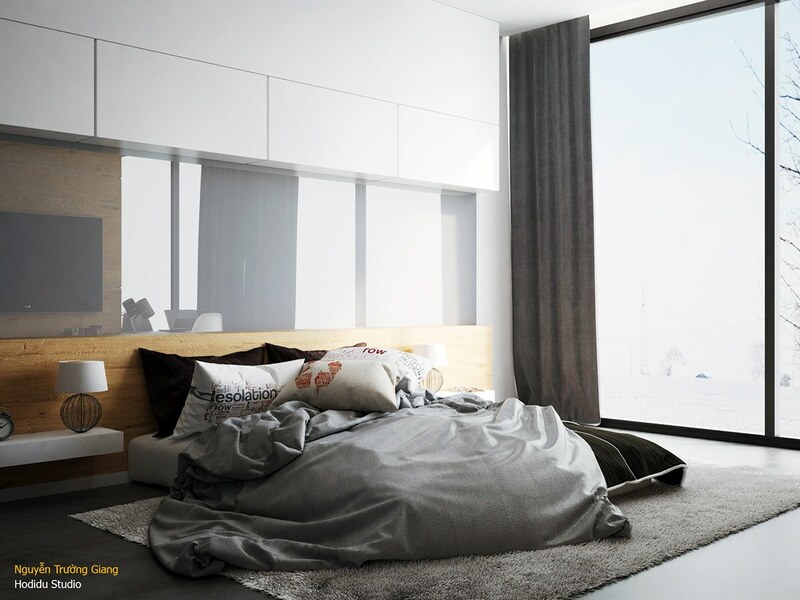 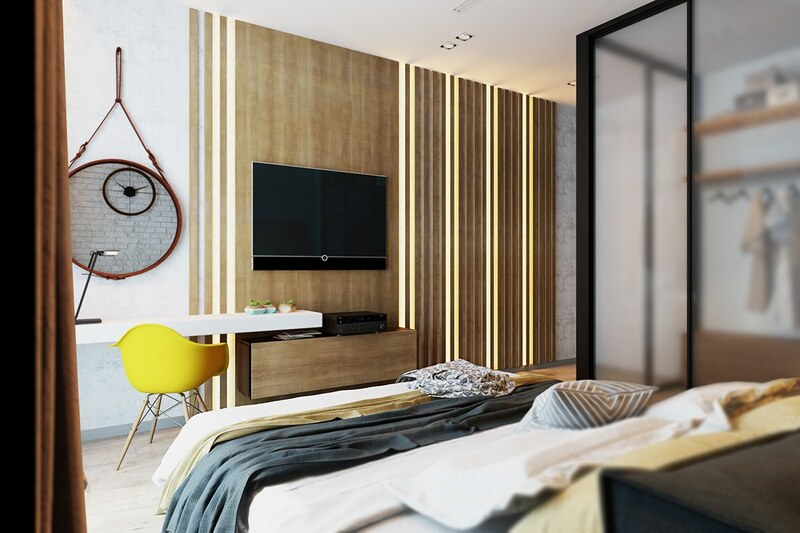 Because it’s such a private and intimate area, the bedroom offers unlimited potential for expressive decor. 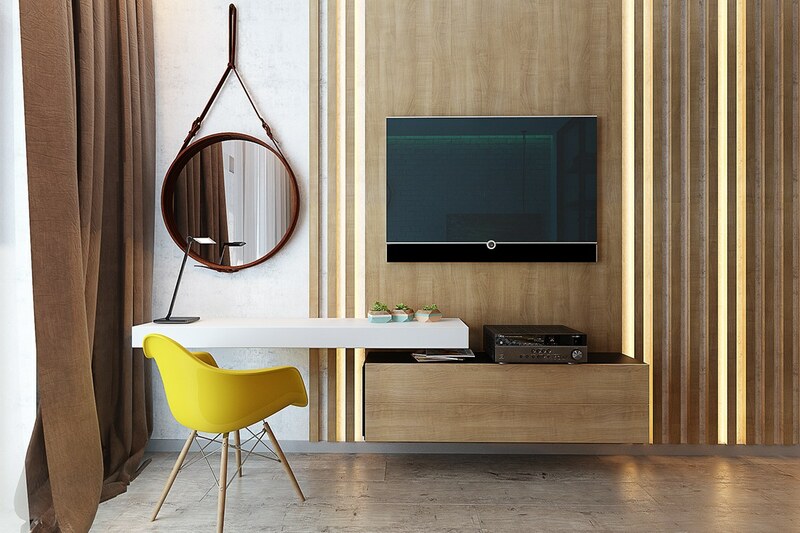 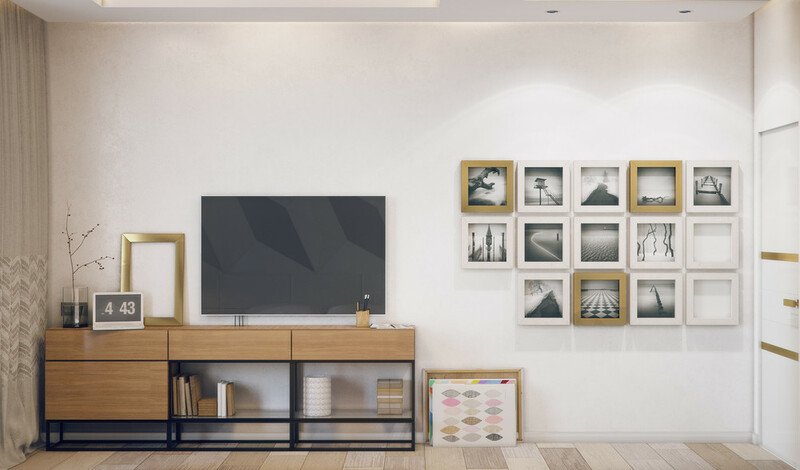 After all, you can always choose to skip it when giving guests the house tour! 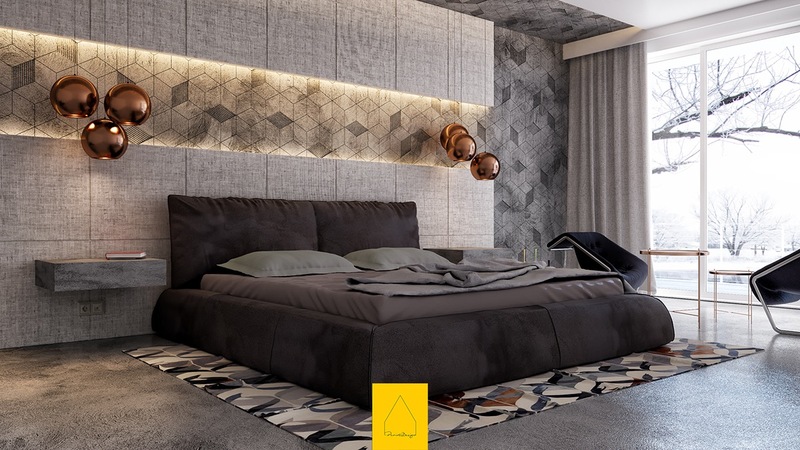 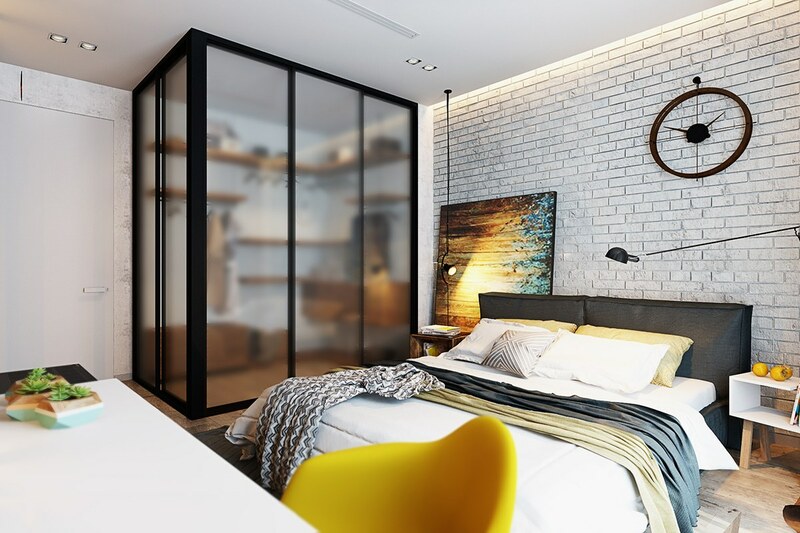 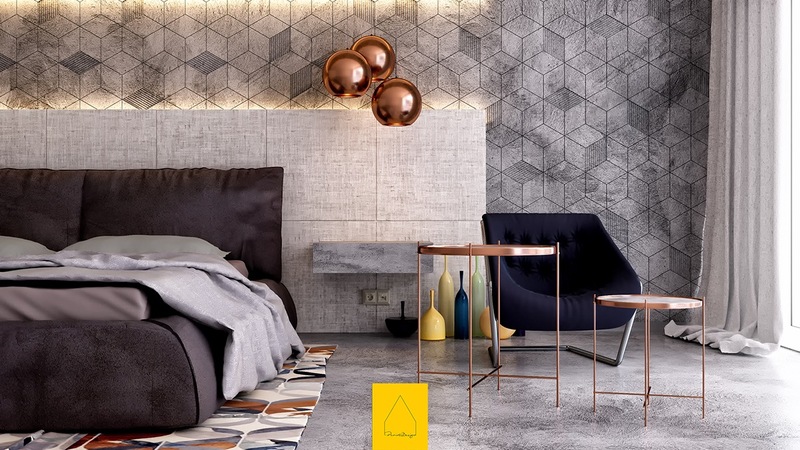 This post examines 7 creative bedrooms that took big chances with bold patterns and unusual materials, each one appealing to a different aesthetic. 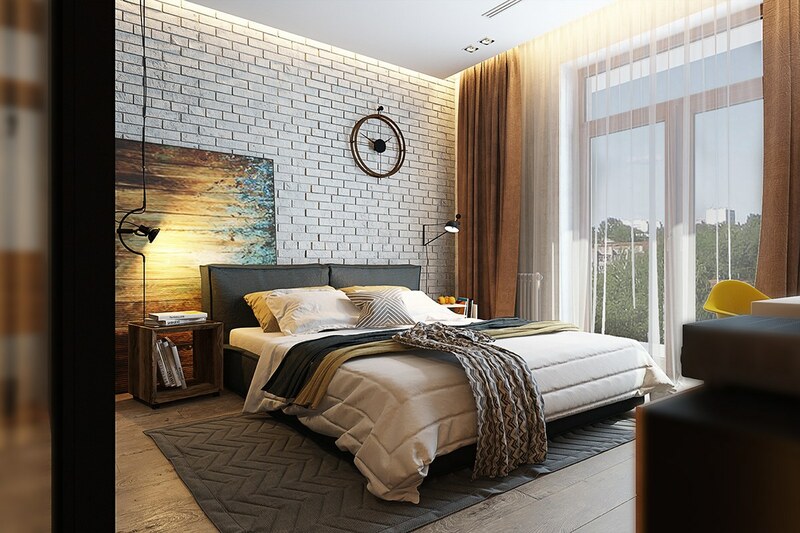 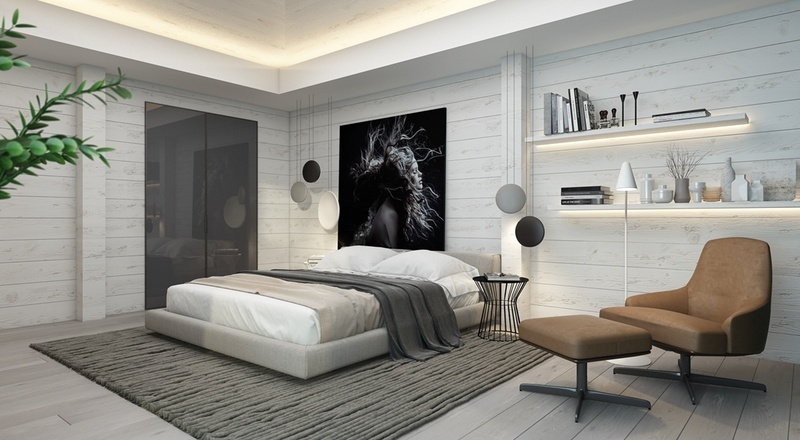 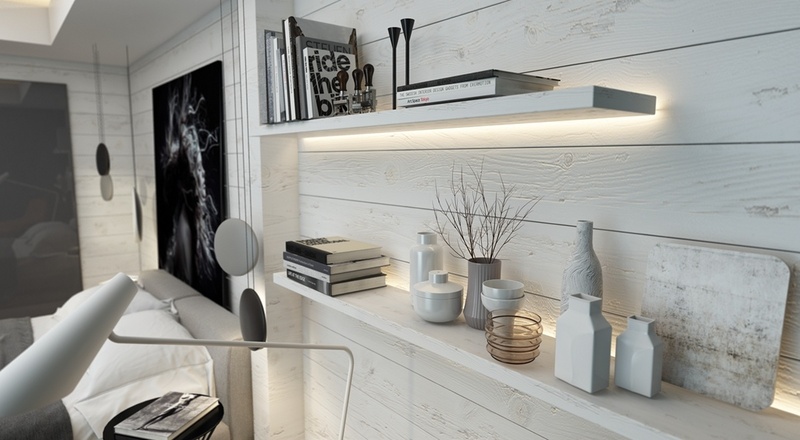 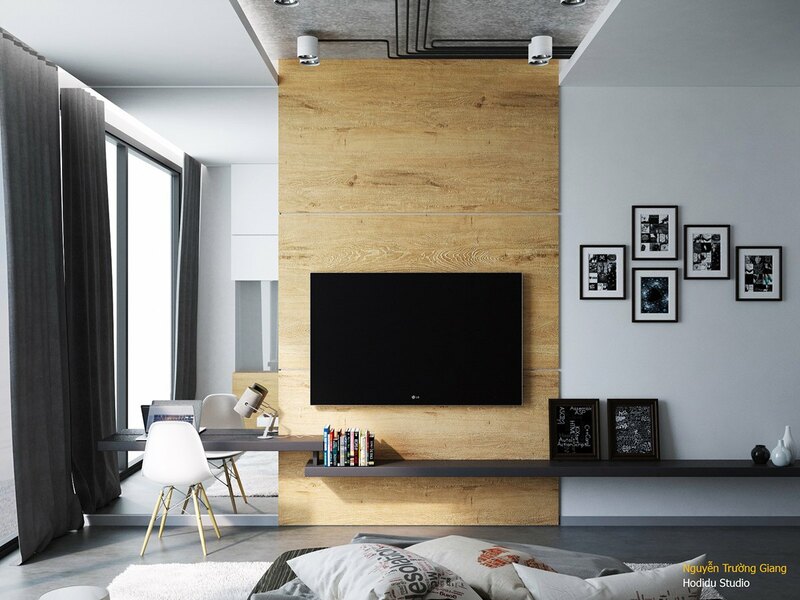 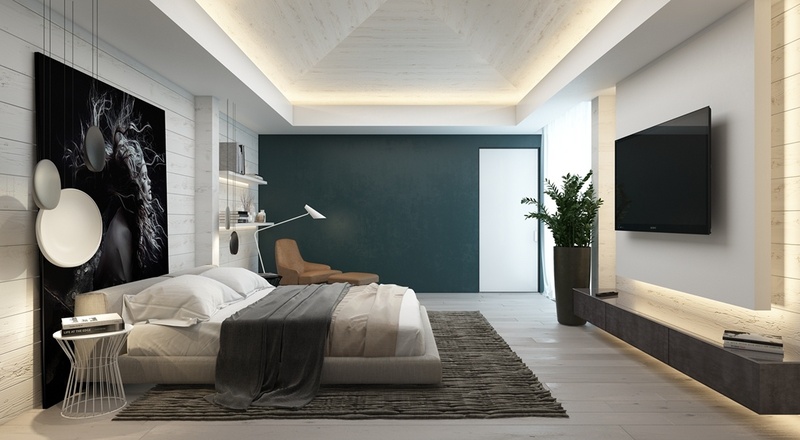 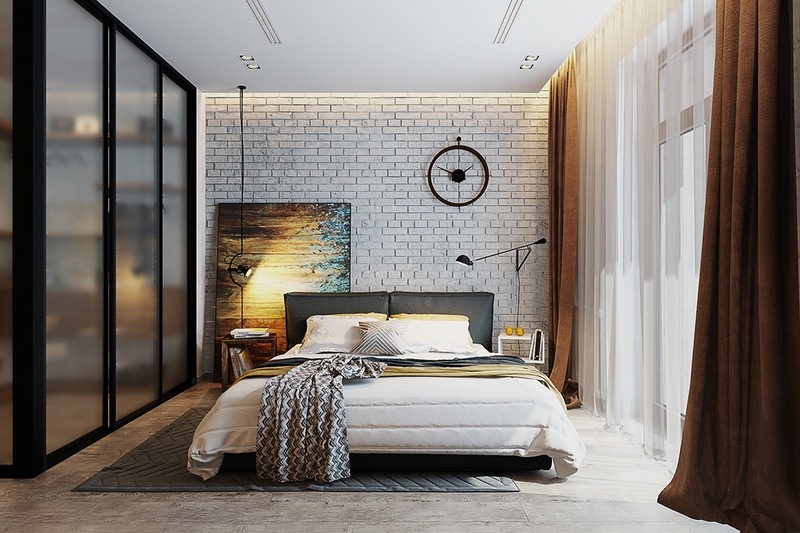 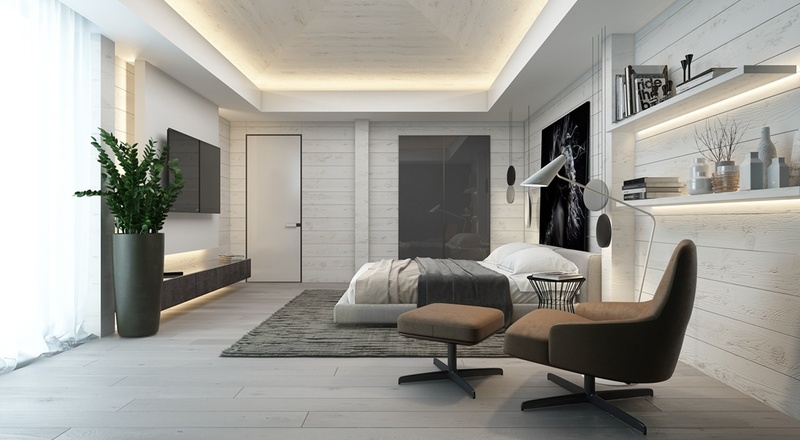 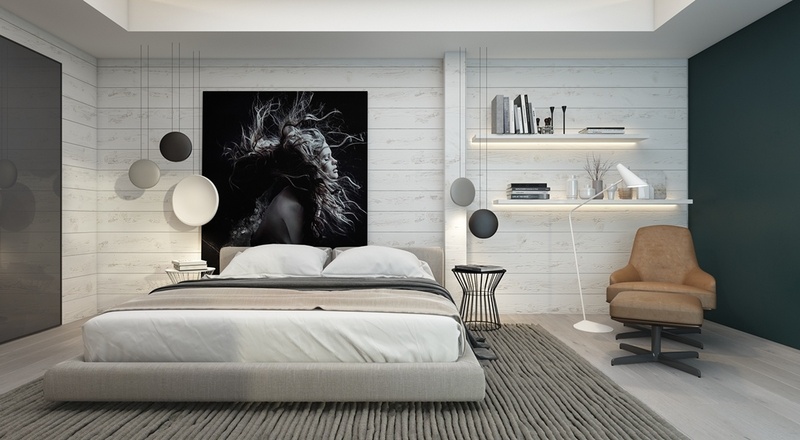 These rooms encourage the exploration of accent wall options like oversized headboards and dramatic lighting treatments, adventurous textures and distinctive decorations – and a few of these techniques are possible to recreate at home. 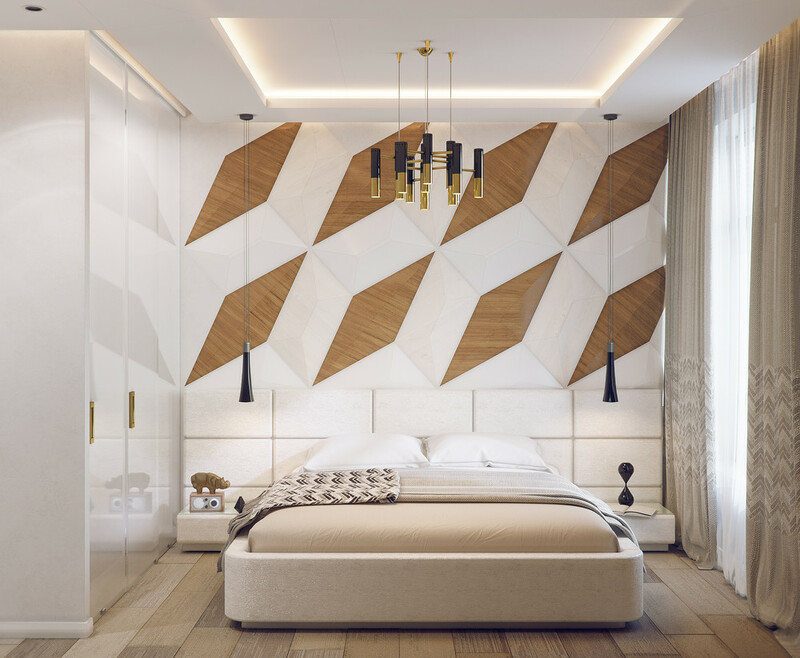 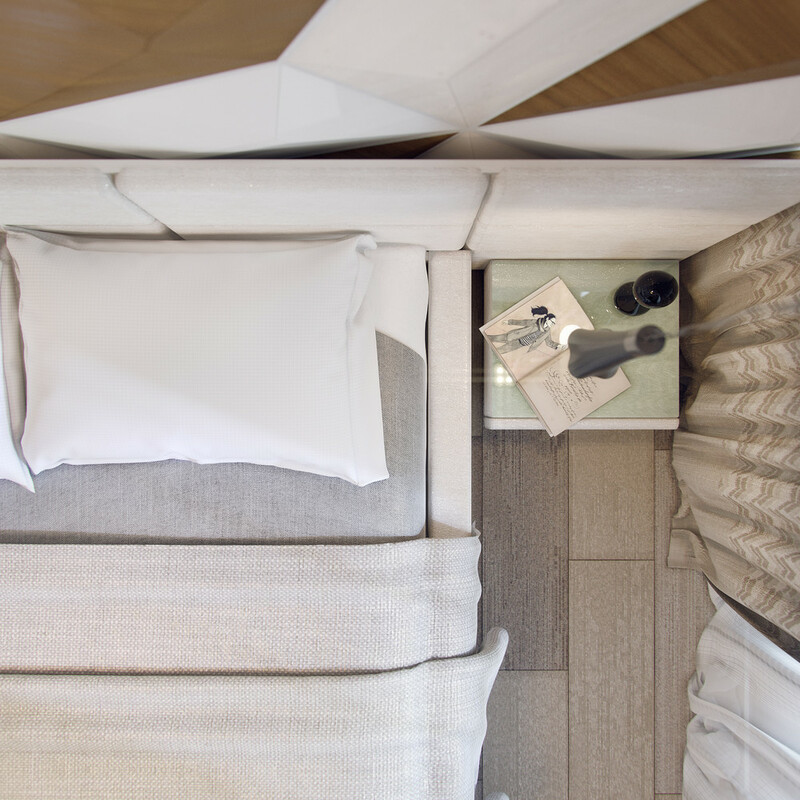 pattern, with oversized headboard panels above and below. 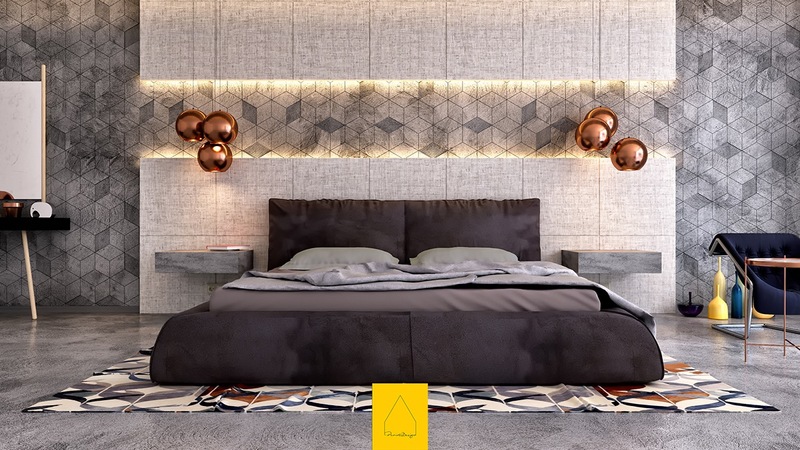 Unique pendant lights from Tom Dixon hover above the cantilever bedside tables (also concrete) and a bright patterned rug energizes the color palette.